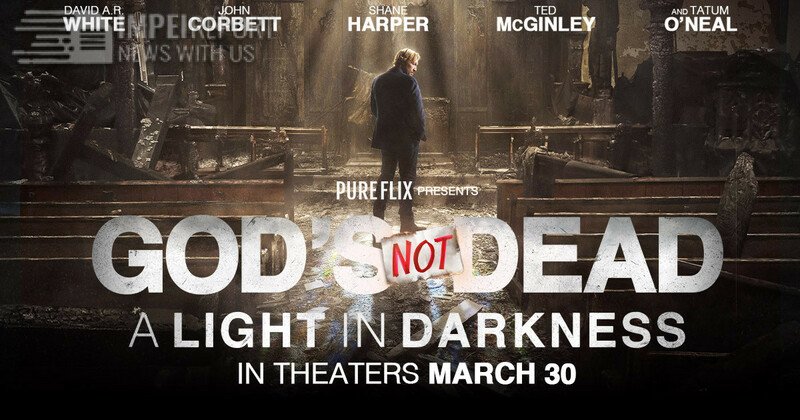 The bizarre thing about this film, the third in the God’s Not Dead franchise, is that it seems like an apology for the first two films. 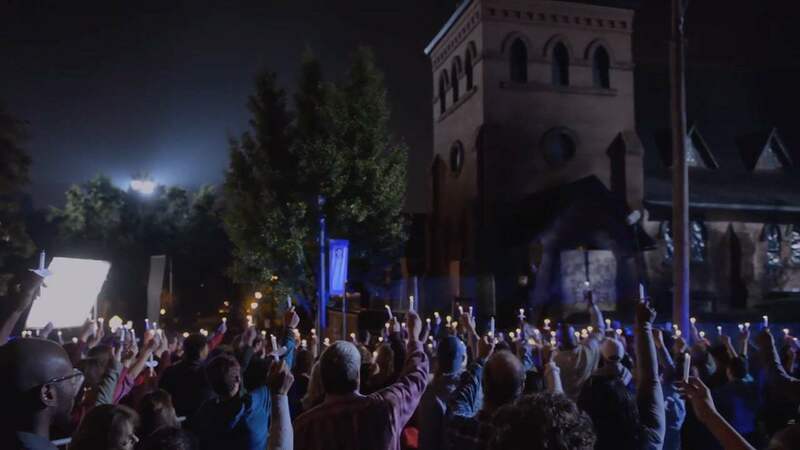 God’s Not Dead 3: A Light in the Darkness has a new writer and director, Michael Mason, who takes a whole new approach to the series. The first film was about a college student whose faith was attacked by a philosophy professor; the second film was about a teacher attacked by her school administration. Both films had villains that were a little more evil than a combination of Snidely Whiplash, Bill Sikes, and Dracula -- with just a tad more sinister mustache twirling. The first two films in the series depicted Christians in America under assault from government and the media. To put it lightly, not everyone agrees with this assertion. Some will point to certain issues that seem to defend the claim: universities have set policies that seemed to target Christian clubs and institutions. Government requires Christian bakers to make cakes for gay weddings and nuns to provide birth control. There are complex issues of the separation of church and state at play here. On the other hand, some believe that Christians are still recipients of privilege in this country. They argue that our institutions are biassed toward Christianity, giving people Christmas day off and including “In God We Trust” on our money. As a nation, we’re certainly somewhere between theocracy and pagan dictatorship. We should recognize that both kinds of government have existed in history and exist today. European countries still have state churches, but in the past, those state churches were considered the only legitimate system of worship. Inquisitions during the Middle Ages -- targeting Jews and Christians with dissenting views -- were government-run, while the Church (at times) provided a moderating influence. On the other hand, some Islamic and Communist governments still persecute Christians, throwing people in jail and even putting people to death. Contemporary America is certainly somewhere between these extremes. The first two films presented Christians in the crosshairs of authorities who hated them for their faith, with the freedom of religion and expression at stake. This film is about eminent domain, a controversial but not necessarily a religious issue. David A. R. White returns as the Reverend Dave Hill. In the first two films, he was a supporting player, supporting the persecuted. In this film, he’s the focus, as Hayden University tries to take his church through eminent domain. The legal case seemed a bit fuzzy to me. Apparently, the university had been a Christian school which was given to the state of Arkansas. The church was located on university grounds, but the church is said to own its property. There are, of course, other plot complications. A young Christian student, Keaton (Samantha Boscarino), argues with her boyfriend, Adam (Mike Manning) about issues of faith. Adam, in a funk, vandalizes St. James, accidentally setting it aflame and killing a man. When Rev. Hill learns Adam was responsible, the Reverend yells at him and shoves him. This confrontation is described as an attack in the newspapers (which isn’t too far off). As the eminent domain case heads toward court, the community takes sides in the controversy. Those who wish to see a clearer separation of church and state protest against the church. Many of these people are quite upset by the exclusive claims of Christianity. 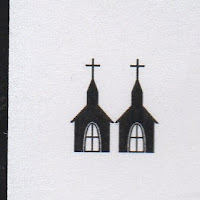 On the other side are those who believe that the state is attacking the Church, attacking the Christian faith. Cable talk shows bitterly debate the issues. In the previous films, all Christians wore white hats, and many of the non-Christians wore black hats (figuratively if not literally). 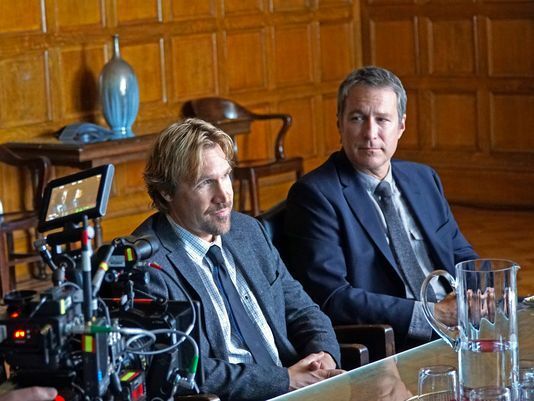 In this one, some of the most attractive characters aren’t believers, particularly the Rev’s brother, Pearce (played by John Corbett). He left the faith of his family during his law school years, then felt abandoned by his family. Dave doesn’t seem to have kept in contact with Pearce until he needs his help, but Pearce immediately came to his brother’s aid. 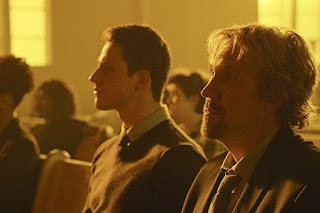 Even so, Pearce doesn’t come to Christ and “pray the prayer” at the end of the film as one might expect. In the previous two films, there are dramatic conversions to Christianity, but this film settles for people reconciling with one another and Christians becoming more clear about their own faith. 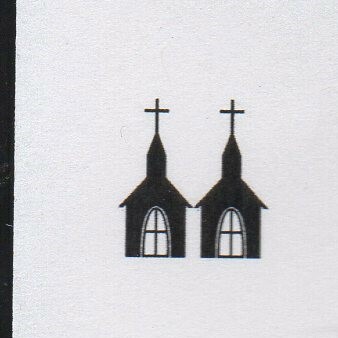 Reverend Dave and St. James Church earned its two Steeples out of four because most of the film the Rev. isn’t doing much for the Kingdom of God; he’s just fighting the power. At one point, college student Keaton says, “Everyone knows what the church is against, but not what it’s for.” Still, the church is building a house for Habitat for Humanity and supports a soup kitchen, so it doesn’t deserve our lowest rating, and at the end of the film, we see hope that the church will earn more steeples (if there’s ever a God’s Not Dead IV). Thanks for sharing this post! 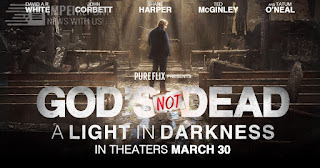 This christian movie is the best for For those who are struggling with their faith, or just wants to be reminded of God’s goodness and feel peace through His love. Thumbs up for this movie.